amazing experience of your life! as we’ll take care of the rest. NOW button and get ready! are also allowed - there’ll be no kids around you. for your brain to “understand” what’s up and enjoy the moment. normally” as you’ll need your breath here. fulfilled with an incredible sense of achievement. This will be YOU! 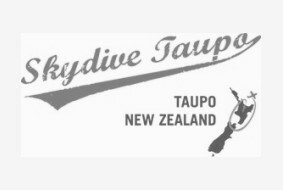 If you think you’re ready, the Skydive Taupo team is waiting for you! - 12,000ft, 15,000ft, or 18,500ft tandem skydive. camera attached to their wrist. - your very own soundtrack - that you’ll choose from our extensive list. or e-mailed direct into your inbox ready to be shared. is the best option for you. beside you and filming around you as you freefall. views - go Full Monty! - About 200 HD photos. around you as you freefall. e-mailed direct into your inbox ready to be shared.